Click on the red “Order” button next to Professional Media Services. 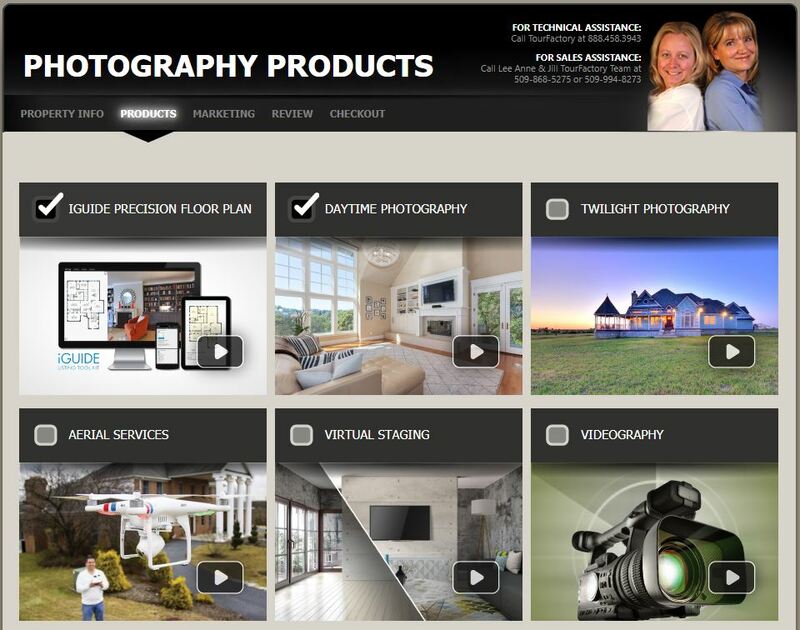 Select the type of photography products that you would like to use and click “Next”. 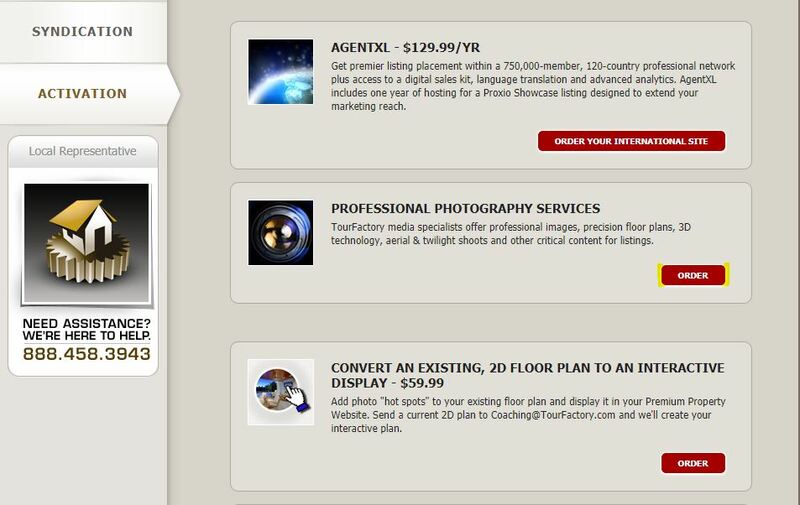 You will then be able to select the photography products that you would like to order. 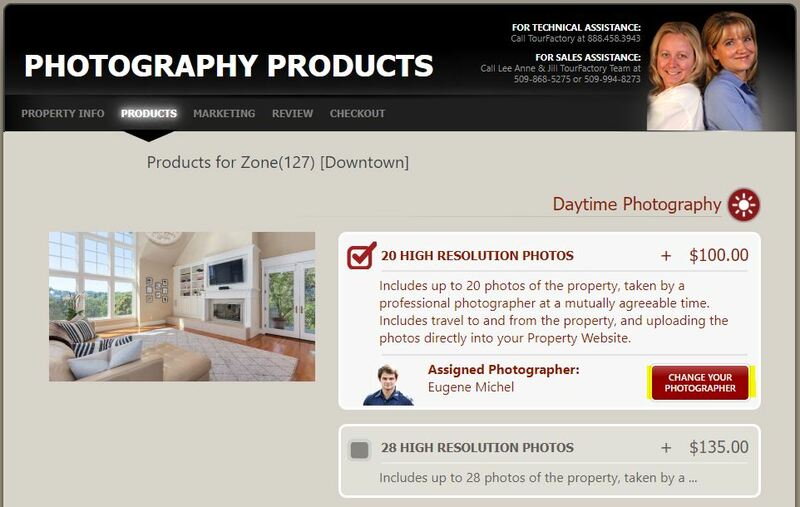 If you previously had a TourFactory photographer take your photos for this property, the system will automatically select that photographer for your replacement photos. If you would like a different photographer, then you will want to click the “Change Your Photographer” button and select the photographer you would like to use. Once you have selected all of the products you would like to order, scroll down and click “Next”. You will be able to review your order prior to proceeding to the Checkout page. If everything looks okay, click “Finalize Your Order”. This will take you to the checkout page. You can choose to use an existing card we have on file or enter a new card. After your payment information has been entered, click “Finalize Your Order”. 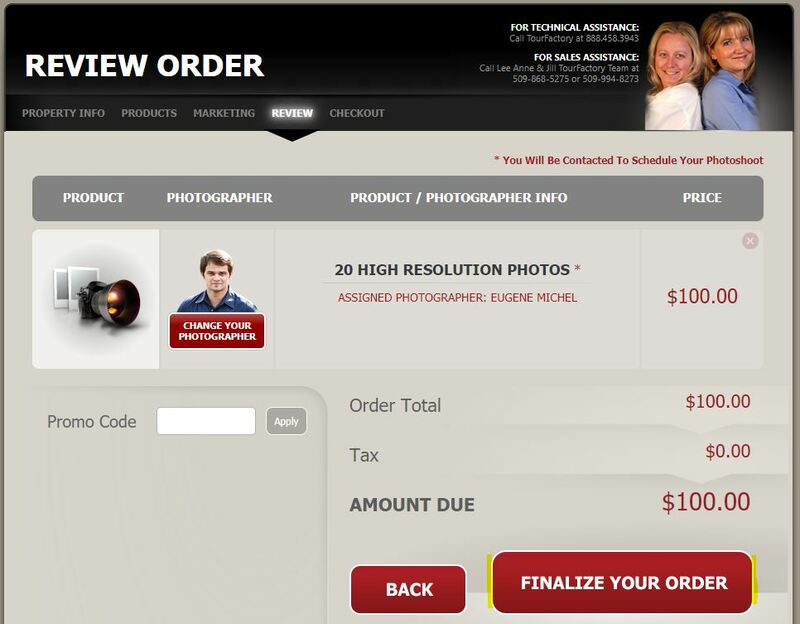 Your photographer will be notified of the order and will contact you within 1 business day to schedule.